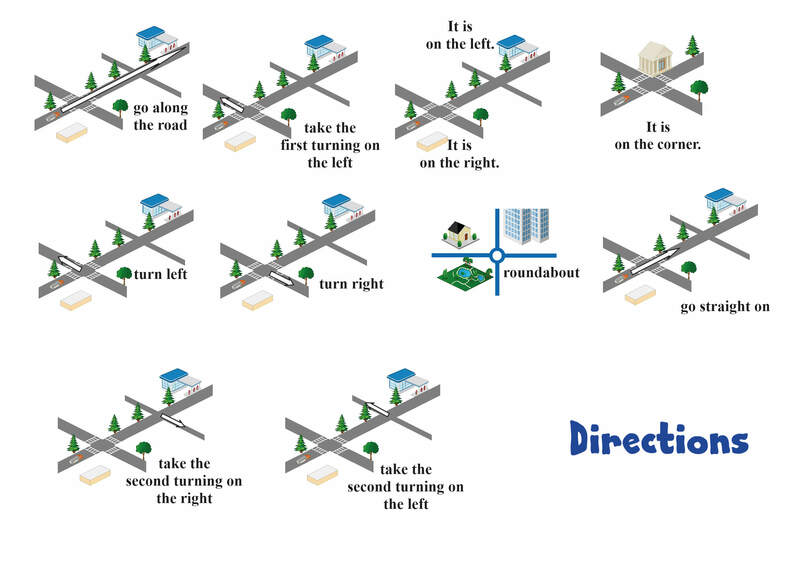 Giving directions in English is one of the most useful functions there is. Everyone understands that this is the function they are likely to use on the street, literally, and therefore the motivation is usually quite easy. To be able to give directions you need to learn a set of phrases which you later combine into a conversation. To teach the phrases we offer you the following. A simple drill (teaching the basic phrases), an infographic, several worksheet activities and an interactive quiz. First watch and repeat the phrases and then produce the phrases before the native speaker says them. It is always a good idea to give students a handout with all the phrases you want them to learn. Thus they can revise the vocabulary and there is higher chance that they will learn the phrases. Here is a colourful infographic with the phrases from the video. First of all I would love to recommend the following worksheet by Mary Glasgow plus. In this worksheet students practise their divisions and directions too. You can download extra instructions for the same worksheet here. The following worksheet gives students a chance to use the new phrases. Print the following map and give one to each student. The students draw a trail into their map (from the start to any place they like) and then they give instructions to their partners who must draw the same trail into their map. At the end they compare their maps and discuss any misunderstanding. 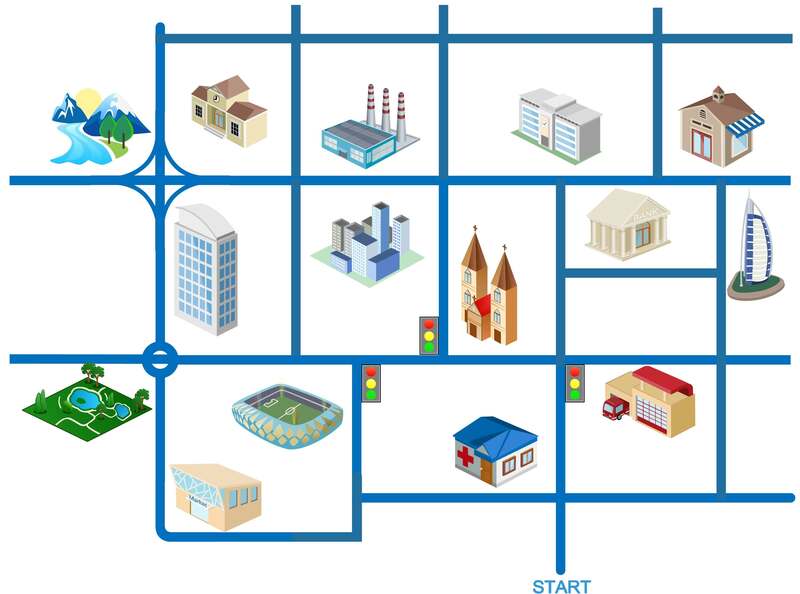 The following quiz can help your students practise giving directions in English. They can do it either at school or at home. The quiz consists of two parts. In the first part, students should match the phrases and the instructions. In the second part, students have to type the missing words in the phrases. The students will be rewarded with a game after each part of the quiz they pass. The quiz is in HTML5, so it will play on all desktops and mobile devices. There are some wonderful materials on giving directions at British Council site. Check them out.